Holy crap have I been a lazy blogger or what? Still with me? 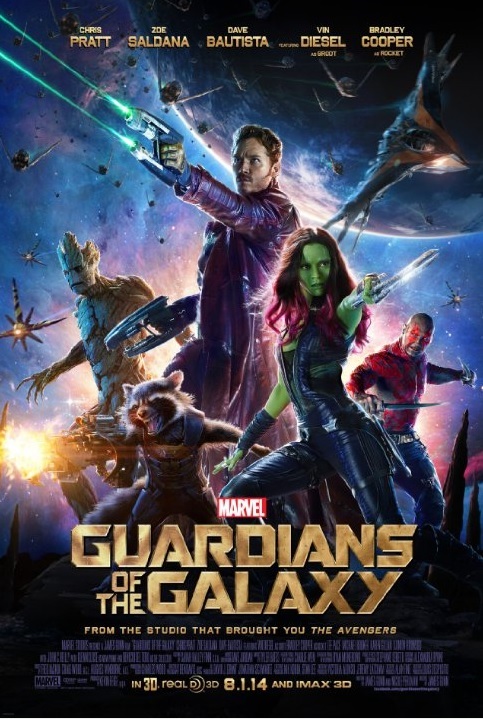 Ok, here’s my opinion of GOTG: IT SUCKED AND I’M HORRIBLY DISAPPOINTED ABOUT IT. 1. The indestructible, self-charging Walkman… Film opens with the kid version of main character Peter Quill on earth, listening to a Walkman. Stuff happens and you suddenly remember this is supposed to be a sci-fi movie when he is abducted by aliens (which should be a separate point, but I will just say now that the alien abduction was so jarring from the opening scene, I liken it to a Monty Python bit). Fast forward 26 years and the kid is now an adult. Amazingly he is still listening to the same cassette tape on the same Walkman, same headphones. I immediately turned to my husband and asked where the hell he got replacement batteries for that thing. And apparently he also obtained the only indestructible Walkman in existence, and this particular cassette tape NEVER wears out after being the ONLY one listened to for 26 years. Ok, moving on from the Walkman issue. 2. The soundtrack… dear god the soundtrack. So many more 70s/80s songs that had kickass vibes and they chose the exact opposite. Of the songs they used, only Cherry Bomb by the Runaways seemed to fit the actual movie. 3. The dialogue is goddamn painful to listen to. Most of the time it’s hammy, melodramatic, forced, or something equal to prompt an eye roll. There are a few funny lines, which help, but more often than not I thought the dialogue was almost cringeworthy. Also, I get that the kid was abducted from Earth in 1988, but the sheer volume of 80s references was irritating and clearly designed to wink at the 40 years olds in the audience. 4. The environment NEVER felt realistic. The actors looked like they simply walked in front of a green screen to perform. EVERYTHING looked and felt computer generated, and of course there is going to be a lot of that when you’re making a space movie, but there has to be enough to make it feel real. 5. The characters I barely cared anything about. Of the 5 main characters, the CGI raccoon was probably the best, and – sadly – the most emotive. Bradley Cooper did a great job voicing Rocket, applause to him. I also liked Zoe Saldana’s character, but found her development lacking, would have liked to know even more than they revealed about her. Groot, the tree guy, was also sweet and funny, but they wasted Vin Diesel’s talent there… Groot says 4 words the entire movie, you couldn’t even recognize Diesel’s voice, nor his features to justify using him. Peter Quill acts like a 23 year old frat boy playing Indiana Jones meets Han Solo (and not pulling it off), and I never grow to like him much. I thought Drax was a completely unnecessary character, not even sure why he was there. 6. That little trinket… As another critic pointed out, the object of desire that the bad guys want and the good guys try and keep the bad guys from amounts to a stone inside a softball-sized metal orb, or The One Ring inside the Hellraiser box. Been there, done that. 7. The bad guys never really felt all that BAD. Karen Gillan’s character was great to watch, when she was on screen, but we saw far too little of her and I dearly would have loved to know more since she and Zoe Saldana were “sisters”. Ronin… Thanos… meh, yawn. 8. The ocean is in jeopardy, so let’s make sure this puddle is safe! They are billed as the “Guardians of the GALAXY” – at best, they saved what looked like San Francisco from the Star Trek universe. At least with Superman, Metropolis got wasted but it was clearly in the process of saving the rest of the Earth. This doesn’t feel like such a grand scale save, but good job, guys! 9. Ummmm, wha…? The hidden scene at the end left me with mix feelings. No spoilers, but I was equally laughing and astounded by the ridiculousness of it since it seemed so WAY out of place. 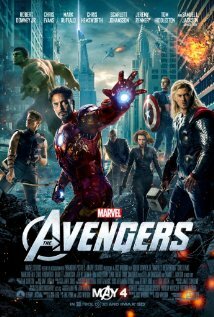 Overall I really felt the movie was far from fitting in with the established Marvel movie universe. These guys were a bumbling comedy troupe rather than serious heroes. I don’t know why so many people think this is so awesome, I just thought it was a complete letdown. 1.5 out of 5. And that’s being generous. The Marvel movies that have been leading up to this with additional scenes stuck after the credits have PAID OFF. Joss Wheden did not disappoint – the character development was really well done (and considering there are 6 heroes and at least 4 other rather main characters to split screen time with, that’s very difficult), the pace moved fairly well, the initial disfunction and the eventual meshing of the group felt very natural, the battles were head-spinning, and the dialogue was perfect. There were also plenty of comedic moments to break the tension, enough so that I can’t wait to watch it again on Blu-Ray to make sure I caught them all. In particular, I was intrigued by Tony Stark’s immediate respect and interest in Bruce Banner. Robert Downey, Jr revived his character seamlessly, of course, being such an incredible actor in the first place, and I was really interested in Mark Ruffalo’s portrayal of Banner – his nervousness and anxiety over his transformations coupled with his deep desire to be helpful seemed pitch-perfect to me. I was also left desperate for a movie to be made with Black Widow and Hawkeye. I don’t think they will have any struggle in putting one together, and after seeing and enjoying Jeremy Renner in several films, I am eager to see him again in the same character. Scarlett Johannson was the perfect choice for Black Widow the first time around, and she brought Widow more depth with this film. My complaints about this movie are few, but one I was kind of disappointed with was Agent Coulson – Wheden decided to portray him as a gushing fanboy of Captain America, something I thought should have been severely scaled back. He could have gotten the point across with a lot less tripping-over-his-own-tongue. Agent Coulson always seemed like the consummate professional to me, and this added a dimension to him I didn’t feel fit. Additionally, I was slightly confused how during the first transformation, the Hulk went from complete destruction hellbent on removing ANYONE in his path, to working alongside the rest of the Avengers without them fearing his wrath. Perhaps I missed something in the exposition (I was in a rather noisy theater), but this was something that nagged at me later on. All in all, a FANTASTIC movie. Also, do yourself a HUGE favor and sit through ALL the credits. There is a mid-credit scene AND a post-credit scene. 99% of our theater missed the final scene because they left after the first one. Suckers!